If it seems like the frenetic pace of modern life influences today’s great works of art more and more, consider this: According to a new book by Dr. Marnin Young, associate professor of art history at Yeshiva University, it’s been doing that for well over 100 years. 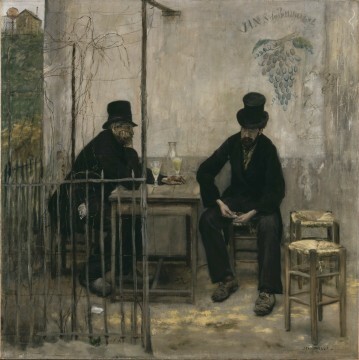 In his book, Realism in the Age of Impressionism: Painting and the Politics of Time (Yale University Press, August 2015), Young examines the final phase of 19th-century Realist painting, focusing on five artists who showed their work in Paris between 1878 and 1882—years which saw changes in the existing economic and social structures that produced and increasingly measured experience of time. These artists rejected the impending wave of Impressionism by spearheading a short-lived revival of the Realist practices that advocated slowness in technique, subject-matter and beholding. YU News sat down with Young to talk about the way their work continues to influence our understanding of art today, how his findings will impact the classes he teaches at YU, and how our fears and anxieties surrounding the concept of time may not have changed as much as you’d think since the 1800s. What inspired this book – where did the idea come from? This book started out as research project on the great French Realist painter Gustave Courbet (1819-1877). I was initially interested in his involvement in the revolutionary Paris Commune of 1871 and the impact this had on the decline of Realism in European art. While most scholars simply assumed impressionism displaced Realism in about 1874, I came to see that Realism actually experienced something of a revival in the late 1870s and 1880s. Although some art historians had previously noted a certain persistence of Realism after the ascent of impressionism, this “later Realism” had never been examined systematically. A couple of questions quickly emerged from my research. First, why did Realism end when it did? Second, what distinguished Realism from Impressionism? The answers to both these questions are related and resulted in the underlying thesis of my book: Realism ended because artists could not reconcile their carefully-observed and meticulously-rendered way of painting with the pace and speed of modern life. Slow painting could not represent the speed of modern life. My book is about the last serious attempt to do so. My research took me deep into the cultural history of time, the way it was structured and perceived in the 19th century. And what surprised me was how many similarities exist between the perceptions and anxieties about time then and now. In 1884, the Greenwich Prime Meridian conference established the global 24-hour time zone system and codified several decades of time-synchronization brought on by the expansion of train networks in Europe and America. This organization of time is precisely what the later Realists had been representing and resisting. In the 21st century, we are now moving into what one critic has called the “interminable non-time” of globalization and the Internet. Interestingly, one reaction to this is a non-religious “technology Sabbath,” in which more and more people choose to disconnect temporarily from our contemporary time-structure. How do you feel these works of art are critical to our understanding of modern art? An acknowledgment of later Realist painting changes the basic narrative of modern art. Older stylistic forms persist much longer than art historians generally allow. Just as the Old Regime of the European monarchies basically lasted until after the First World War, various older artistic styles in fact dominated in art well into the 20th century. And in many cases, these art forms sought to adapt to modernity with fascinating results that cannot be dismissed out of hand. This book should also make temporality a more central category in our understanding of modern art. One common view is that works of visual art simply cannot represent time like literature does: Poetry is an art of time, painting is an art of space. 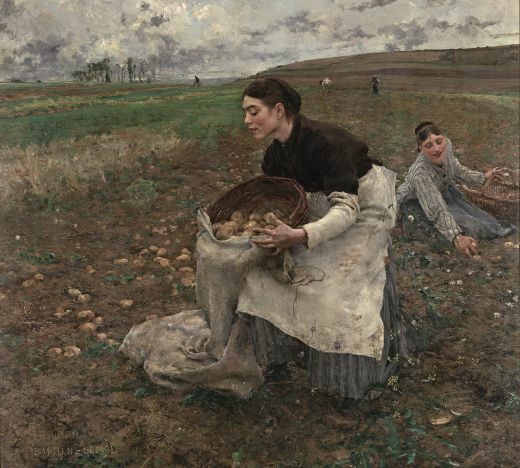 In fact, however, the case-studies in Realism in the Age of Impressionism show how complex and rich the painterly representation of time can be. How will students see this research filter down to your classroom? The impact of research on teaching cannot be underestimated. It structures my basic approach to the history of art in survey courses and upper-division seminars. For instance, I have more or less abandoned the standard periodization and stylistic categorization of art precisely because my research has shown how specious they are. In more concrete ways, I have integrated my research materials into my advanced classes on, say, the history of Impressionism. I use period art criticism extensively in my own writing, and I consequently have my students read as much of it as possible. Why are you passionate about art and art history? From a very young age, I have been fascinated by pictures: First illustrated books, then comics, photographs, film, and only a little later, paintings. But I never really found any satisfactory resources for understanding them until I took an art history class in college. Then I was hooked. What do you love about teaching at YU? There are two reasons I love teaching at YU. First, the students. The enthusiasm for education and the endless questioning is extremely productive for teaching and also for my own thinking about art. Second, the resources for art history in New York are unparalleled. The museums are among the very best in the world, and students benefit enormously from our location in Manhattan.